Symbol DS 3478 - Imager only with Smart Focus. Color: Yellow/Black. Charging/communication base station (Part# STB3478-C0007WW) not included. See accessories. The Symbol DS 3478 rugged, cordless scanners use digital imaging technology to accurately capture direct part marks (DPM), and 1D and 2D barcodes. The DS 3478 series is available in three models. 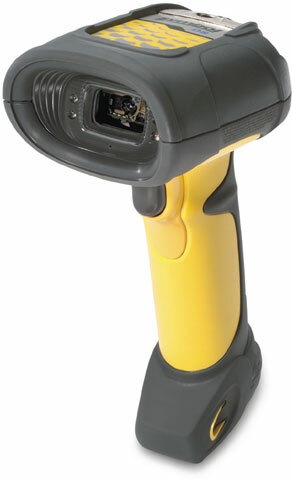 The DS3478-SF is ideal for scanning 1D and 2D barcodes. For high-density 2D matrix codes, choose the DS3478-HD. For DPM, select the DS3478-DP. Two-position "Smart" focus technology, unique to Motorola, provides the flexibility to meet scanning needs in a wide range of applications and environments. Omnidirectional scanning, available on all models, lets operators quickly capture symbols from any angle. 3 Year Service from the Start Advanced Exchange. Includes Comprehensive coverage. Includes coverage for cradles. Please Note: your Symbol Service Contract is valid once all information is processed. Service (3 Year, Service Center, DS3478 - Bronze) Please Note: your Symbol Service Contract is valid once all information is processed. The Symbol DS3478-SF20005WR is also known as Symbol Technologies	SYM-DS3478SF20005WR	or DS3478SF20005WR	.